It’s only been four years since James Brown graduated from Texas State Technical College; however, he’s already the lead graphic designer for The Dwyer Group in Waco, Texas. Brown said he got the job because he consistently produced quality work and had the longest tenure out of all the Dwyer Group graphic designers at the time the position became available. Brown, who also paints, said he was always interested in the arts. “Graphic design is not the only medium I work in,” Brown said. Brown’s affinity for computers and graphic design made his decision to study Advertising Design & Print Technology at TSTC Waco a natural choice. One of Brown’s former TSTC professors, Michael Steele, was hired on at the Dwyer Group’s marketing department as creative director in 2006. 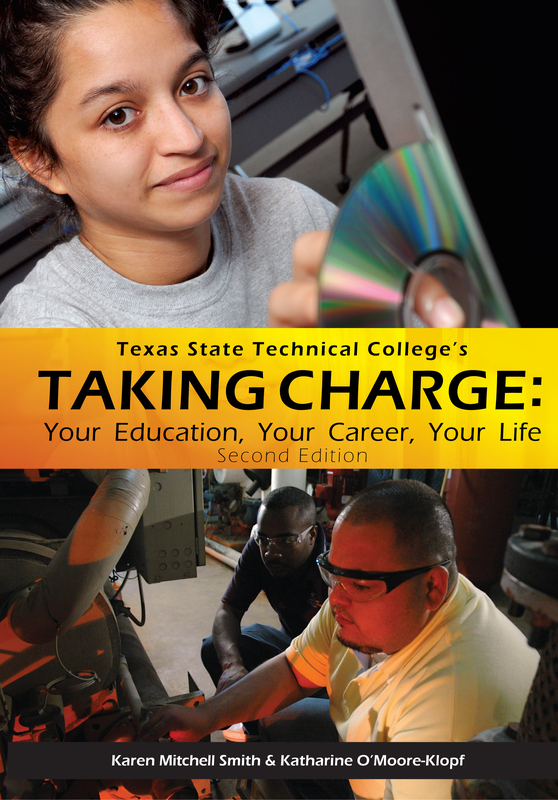 After Brown graduated from TSTC, Steele asked him to apply for a graphic design position at the company. Brown was hired and has worked for the Dwyer Group ever since. He said it pays to make good connections. As lead graphic designer for the Dwyer Group, Brown’s workdays consist of responding to emails, addressing emergencies that arise, working on projects, and overseeing projects the other designers are working on. Presently, he manages a team of three designers. Brown is responsible for proofing their work for quality, determining what needs to change, and ensuring edits are made. Brown and his team of graphic designers are responsible for developing the graphics’ standards and branding identities for the majority of the Dwyer Group’s seven franchise businesses on the corporate, company, and franchise levels. The team designs for the entire North American division of the internationally-operated Dwyer Group. One of Brown’s major projects for the company was designing vehicle wraps for the various Dwyer Group fleets. In addition to his job at the Dwyer Group, Brown also does his own freelance graphic design for clients. “Designers balance several projects at a time,” he said. Brown stays at work longer or comes into the office earlier to finish any work for the Dwyer Group he needs to complete. By doing this, Brown’s time at home is freed for work on freelance projects. In order to complete projects and meet deadlines successfully, designers must make a schedule, he said. Brown estimates how many hours each project will take to complete and “plots [the hours] on a calendar” or timeline accordingly. “You won’t survive if you can’t balance several projects, meetings, and emergencies,” he said. The same time management strategy works for students as well. Students have “multiple classes going on” at a time, Brown said. Consequently, they cannot focus on just a single task one day and another task the next. Brown, who waited tables and did an internship while attending TSTC, said it’s “critical and crucial” for students to learn how to multitask. He suggests students also look at the size of a project or an assignment, determine how much time they’ll need to complete it, and budget their time. Brown also advises students to complete an internship before they graduate. “Employers look for internships,” he said. “They’re not critical, but are a good mark on a resume.” Brown also stressed the importance of a student’s portfolio. “It’s critical to landing your first job,” he said. He suggests students save all the work they’ve completed while in school. Doing extra work and picking up freelance jobs and clients will also add more pieces to a portfolio. “Design as much as you can before you get to the end,” Brown said. Time is constant, yet harnessing time for productive and personal use falls on the individual. Everyone has the same amount of time, although the difference between success and failure rests on how time is utilized. It is tough to juggle every event from all aspects of life, remember each one, and complete it promptly. Sudden incidents arise, people can become flustered, and the weight of the world comes crashing down. While it may be tempting to throw in the towel, step back, take a deep breath, do something relaxing for a bit, then dive back in. You never lose unless you quit. Taking Charge: Your Education, Your Career, Your Life explains the benefits of time management and tips on the most efficient ways of managing time. The key of time management is to map out a daily timeline of tasks to be completed and stick to it. Every night before bed, make a list of things to be accomplished the next day and arrange them in order of importance. When a task is done, cross it off. The sense of accomplishment gained from physically deleting a difficult task will help feed the willpower to move on the next one. This actually helps to free up time because it eliminates all the minutes spent worrying about what needs to be done and actually doing it. Don’t think. Don’t try. Just do. To effectively manage life, rise above the daily routines and plan for the big picture. In addition to taking care of daily tasks, think about how these responsibilities relate to other areas of life and the future. A monthly calendar provides a broader outlook on your timeline. Knowing you have a test in two weeks helps to create better daily lists to break down the study time in blocks. Cramming the day before will not only give less understanding of the material, but will throw off your routine since you must postpone the day’s tasks until tomorrow. Because many people work from their computers, plenty of time management tools are available for free download. Now Do This is a simple to-do list application that keeps your most important tasks at the forefront. Evernote is a note-taking application that syncs to mobile devices so wherever you are, you can write and retrieve notes. Toggl tracks time spent working on projects and helps you switch easily between different tasks. The scenario is the same. Everyone experiences it. You sit staring at a blank word document watching the cursor blink and blink and blink. You think about your task for a moment, and then wander into some far off place. Your eyes dart back to the cursor. Still blinking. “Maybe I’ll go get some coffee,” you tell yourself. When you sit down again, the cursor continues to taunt you. “How about I check my email?” This could go on for hours. The best way to begin is just to start writing. The entire paper doesn’t need to be finished, and you can always revise it later. This works for anything. If the house is a mess, start cleaning one room and chances are the momentum will build enough to complete the entire chore. The more you dwell on the difficulty of a duty, the harder it becomes to start it.